I am not getting any sound on my installation of BZFlag 2.4.16 . 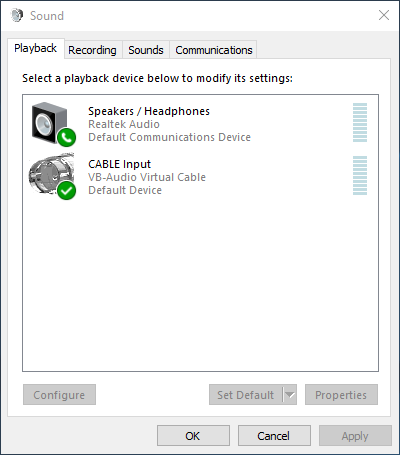 No audio drivers or audio devices appear in the BZFlag configuration. It might have something to do with my unorthodox sound setup...but at the same time other SDL2 games work just fine with it. I'm pretty sure I'll have to drop in a log file, but I don't know how to do that with BZFlag. Anybody got any suggestions on what to do? Can you describe your unorthodox sound setup? In fairness, I'm not entirely sure this is the cause, as when I set "Default Device" to Speakers I still get no sound. I found a temporary workaround. If you start the game windowed (using the windowed shortcut in the start menu, for instance) then the sound works. You can then switch it to fullscreen with the F1 key. This will be fixed in 2.4.18. 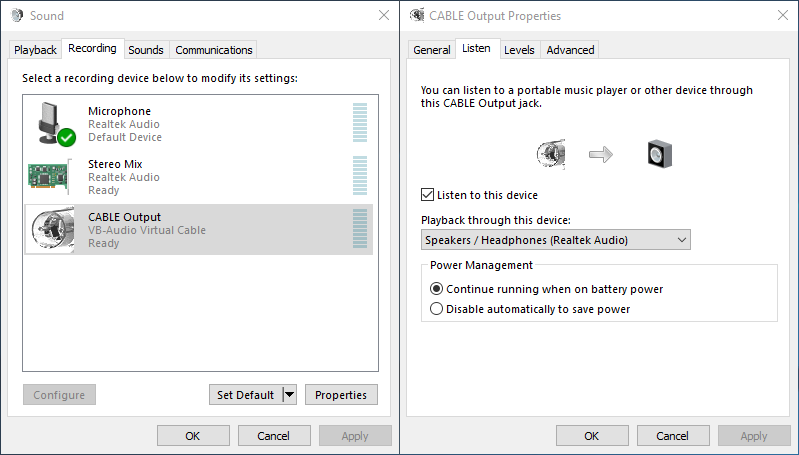 +1 on the problem, for me... Generic audio setup on Win10 v1803. -1 for me on the workaround, starting in windowed mode did not help me.